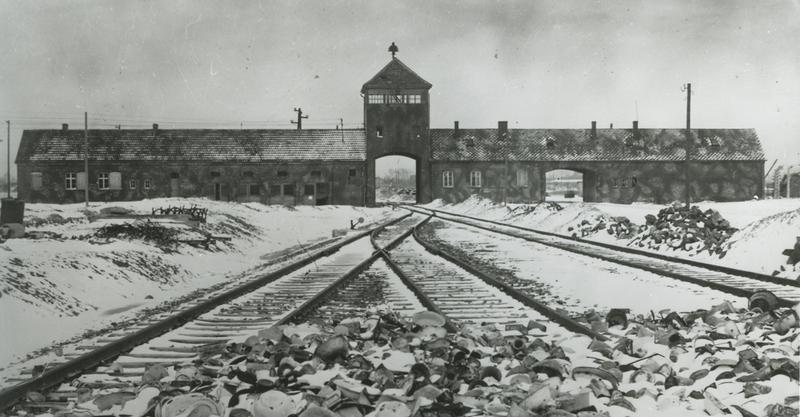 Auschwitz was the largest and most lethal of all the German Nazi concentration and extermination camps. More than 1,100,000 people were murdered behind its barbed-wire fences between May 1940 and January 1945 in a systematic and industrialized fashion. Boys and girls, women and men, most of them Jewish of different nationalities, were deported there, murdered, turned into slaves, numbers, dehumanized and humiliated. Image of the entrance popularly known as the ‘Gate of Death’ in Auschwitz II-Birkenau (today turned into a symbol of the camp and the atrocities perpetrated by the Nazi regime) after World War II. The Holocaust, one of the darkest chapters in the history of the world, took place in a civilized continent and within the most technologically and culturally advanced society in its period. Auschwitz developed while the world remained silent before the Nazi horrors and changed forever the foundations and perspective of humanity.